A native of China, Grammy-Award winning bass Wei Wu recently made his company debut with the Santa Fe Opera, as Kobun in the world premiere production of The (R)evolution of Steve Jobs. His engagements this season include a return to Washington National Opera as the Sacristan in Tosca, and debut with Minnesota Opera as Arnold “Chick” Gandil in the world premiere of Joel Puckett’s The Fix. Additionally, he appears in concert with the The Orchestra Now for Verdi’s Requiem. Future seasons include his debut with San Francisco Opera and returns to Washington National Opera. Last season, Mr. Wu sang Don Basilio in Il barbiere di Siviglia with Washington National Opera, appeared in concert with the West Virginia Symphony for Verdi’sRequiem, and sang the Bonze in Madama Butterfly with The Princeton Festival. The bass’s performances in the 2016-2017 season included creating the role of Kobun in The (R)evolution of Steve Jobs in his debut with Santa Fe Opera, Timur in Turandot with Pittsburgh Opera and Don Basilio in Il barbiere di Siviglia with NCPA Beijing, and he covered Gualtiero Walton in I Puritani for the Metropolitan Opera. On the concert stage, he joined the Kansas City Symphony and Choral Arts DC for the Mozart Requiem, and appeared withWashington Concert Opera as Phanuel in Hériodade. 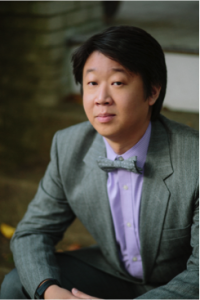 Mr. Wu is a regional finalist and district special award winner (Rocky Mountain Region) for the Metropolitan Opera National Council Audition in 2010 and 2012. He was also the winner of the Denver Lyric Opera Guild Competition in 2011and 2012, and placed third in the 5th Taiwan Vocal Competition. He is featured as Kobun on the cast recording of The (R)evolution of Steve Jobs, which received the 2019 Grammy Award for Best Opera Recording. Wei Wu sings “O wie will ich triumphieren” from Mozart’s Die Entführung aus dem Serail.